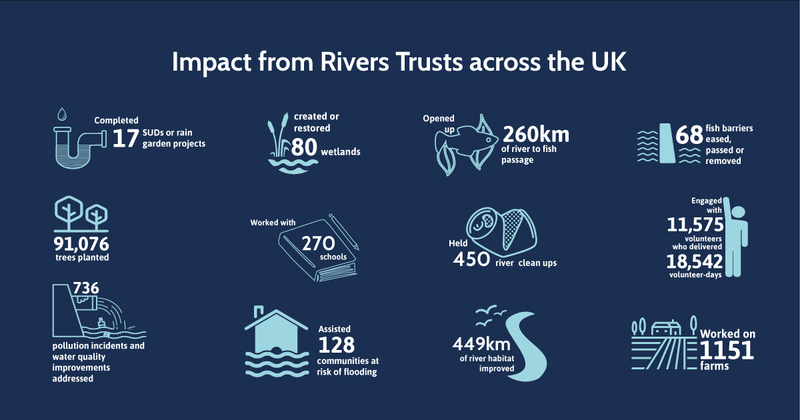 From river runs to sponsored swims, with your help, we can have a greater impact on protecting our river environments. If you would like to fundraise for us, we would be delighted to hear from you and help you along the way. With your support, we can upscale our work in improving our river environments, take steps in tackling the effects of climate change, work closely with government, businesses, landowners and farmers, to ensure they manage water efficiently. We can organise more clean-up events and continue to protect the wildlife and communities that surround rivers. Cycling is a great way to raise awareness of the network of rivers. Organise a cycle ride alongside a river, follow a fish migration route, join an organised event such as the London to Brighton cycle route. There are lots of options out there! Rowing, kayaking or canoeing right on the river can really draw attention to the value of our river system, it is a great way to connect to the cause and show people the vast network or rivers we have in the UK and Ireland. Get people to sponsor you to participate in an organised race, or row the stretch of your favourite river in a given time. Organise a route and get a group of you out on the river for a staff away day. Perhaps fancy dress might be your thing, maybe drifting down the river dressed up as your favourite fish might be the way to get people’s attention – just make sure you have got permission and access rights to the stretch of river you plan on using. Swimming is another great way to connect people to the cause – wild swimming is a fantastic challenge for those who can brave the cold and there are lots of events you can participate in where it is safe to swim. Take a look at the Outdoor Swimming Society website for wild swimming event details. If getting active isn’t your thing then perhaps your office might like to take part in a fancy dress theme – perhaps a fishy Friday or wild Wednesday? Just get participants to pay to take part, you could even offer prizes for the best-dressed member of staff! Whatever you decide to do, we’d love to hear from you – keep in touch and tag us on social media.